Wishing you and your fur families a fun-filled festive season! THEY'RE BACK BY POPULAR DEMAND! The Jimbo's Purrrfect Pressie Turkey & Duck Christmas Feast is back in stores for a limited time only! 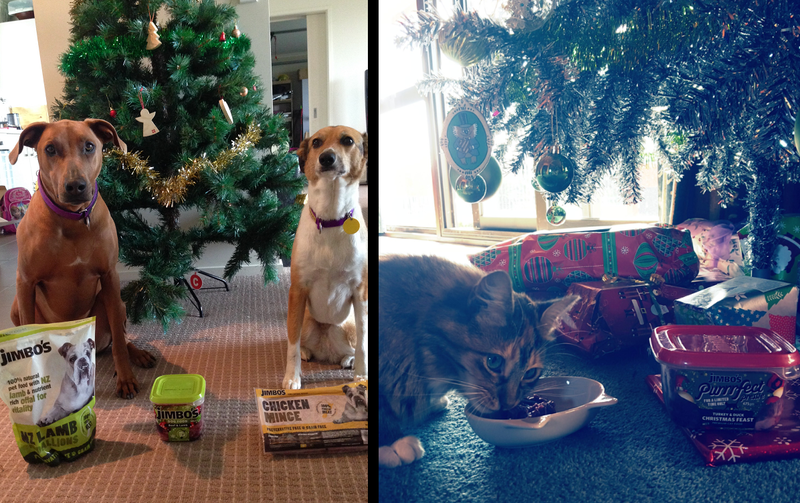 Treat your pets this Christmas with our deliciously festive feast. This fan-favourite can be safely frozen and thawed out at a later date, so you can stock up early in time for Christmas dinner. 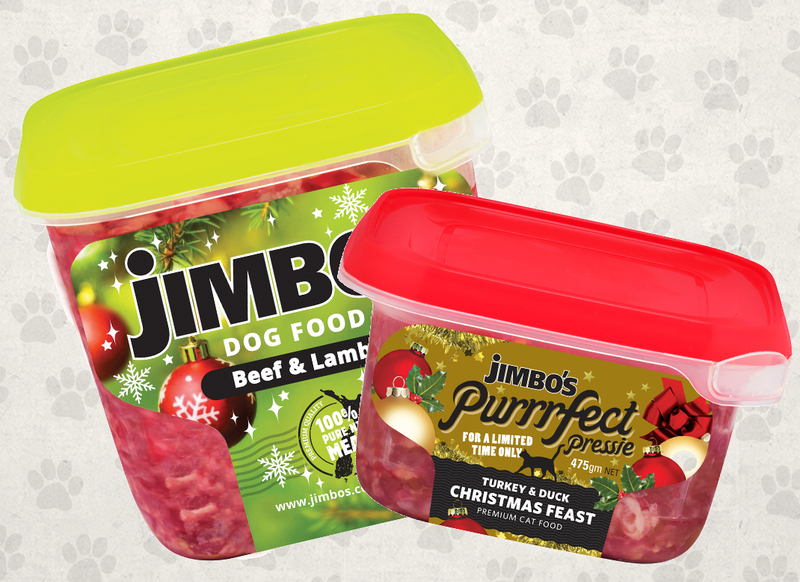 We don't want your canine companions to miss out, so we have given the Jimbo's Beef & Lamb a festive wrapping just in time for the silly season. The Purrrfect Pressie is suitable for dogs, too! From the team of Pet Lovers at Jimbo's. Copyright © 2018 Real Pet Food Company Ltd trading as Jimbo's, All rights reserved.